Your ultimate guide to cool classics and deli greats. 100 Best Jewish Recipes allows you to create modern feasts packed with old-school deli charm. 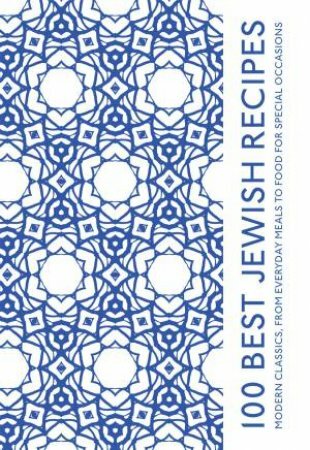 This exciting new compilation of dishes from Evelyn Rose's classic canon showcases the delicious diversity of Jewish cooking. Explore the array of international inspiration on today's no-fuss, flavoursome classics, from the kitchens of Eastern Europe and the Mediterranean to the Middle East and beyond. You'll find mouth-watering ideas for small plates and soups, mains and desserts, as well as bakes and breads. You'll also discover the best dishes to prepare for every major festival, alongside advice on how to make everyday recipes suitable for the kosher kitchen. For everything from perfect pickles to great gefilte fish, and brilliant bagels to meltingly tender cholent, this is the ultimate contemporary guide to the best Jewish food.